* If you have more than 15 people, we will pick you up from the bus.Please do not hesitate to contact us. To celebrate the 50th anniversary of the opening of this facility, I am giving back to everyone in the area. We prepared a day-trip meal plan with all you can drink. "Other", this plan is available from 4 people. You can not use it by reservation via a travel agency. 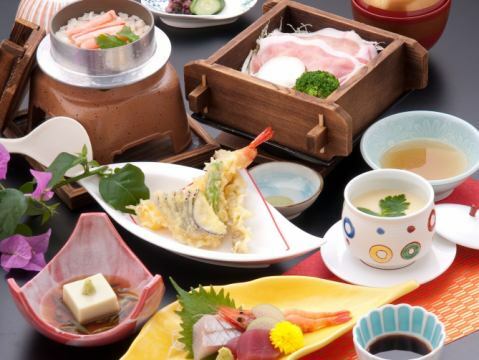 Hagoromo Recommended mini kaiseki cuisine and plan to enjoy natural hot springs. 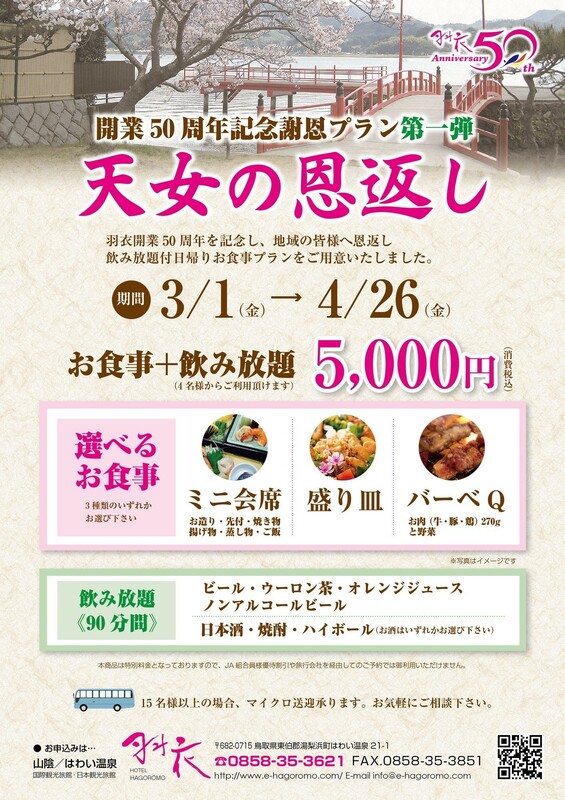 Coffee and cake are attached at + 500 yen (excluding tax). 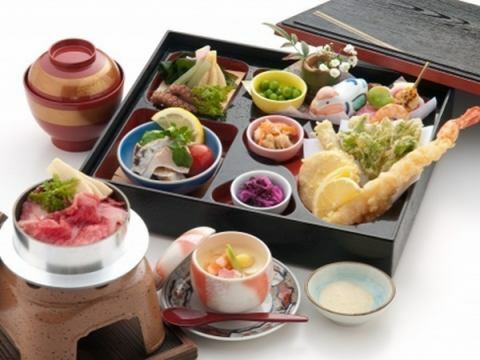 It is a delicious lunch box and natural hot spring plan. A memorial service featuring remembrance of the deceased's personality and deepening the ties of your relatives. 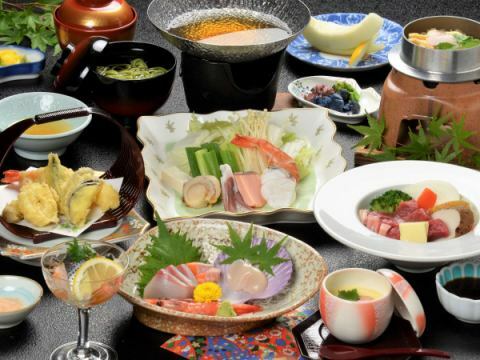 Hagoromo, we will hospitality with a delicate care so that everyone will be satisfied. We will accept from 4 people. 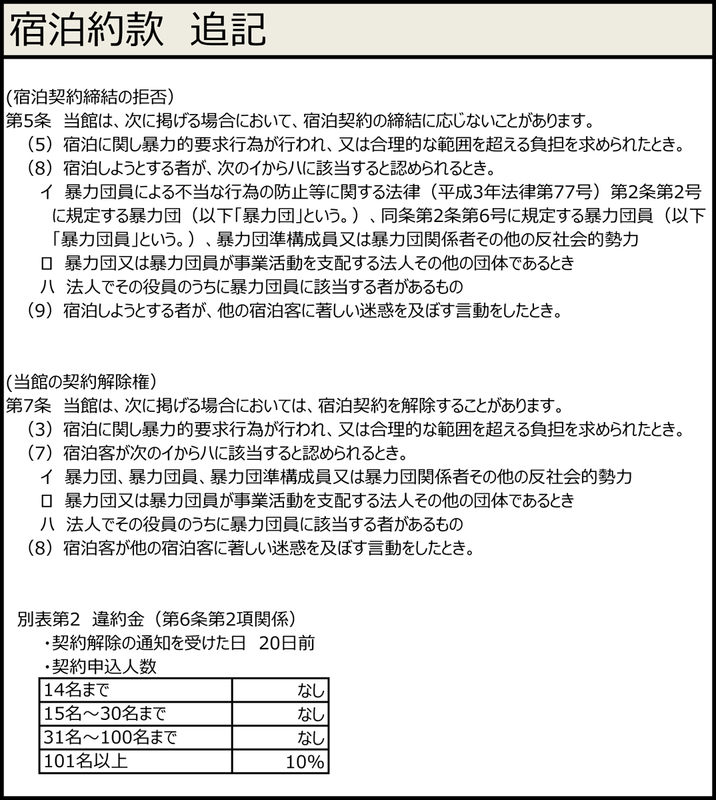 We prepare "6,000 yen plan", "7,000 yen plan", "8,000 yen plan" according to your budget. 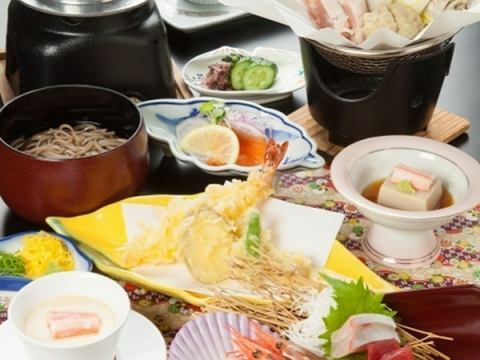 In addition, children's dishes are available. Other dishes, red rice, various coarse drinks are also available, so please do not hesitate to contact us. Alumni association to meet with old friends, teachers together. An alumni association that makes us laugh, cries, falls in love, and told a dream that will revive in an instant. Hagoromo, we will offer you a "best alumni plan". ※The use of group plan is available from 8 people or more. ※The photograph is an image. Depending on the season, content and equipment etc are different. 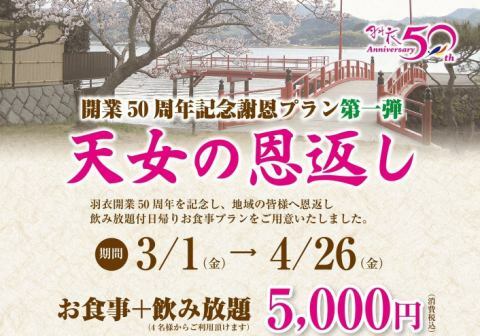 ※Separately, 150 yen hot spring tax will be charged. 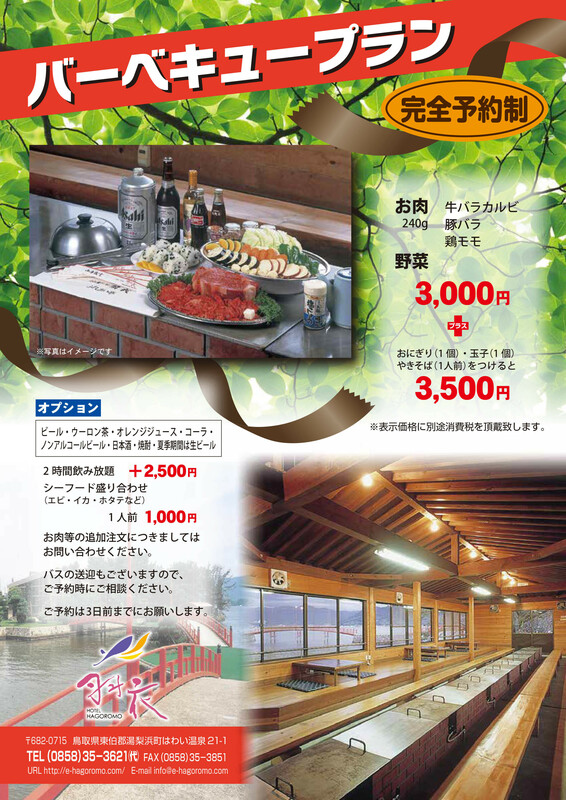 ※There is also a day trip plan.Please contact us for details, such as fees. 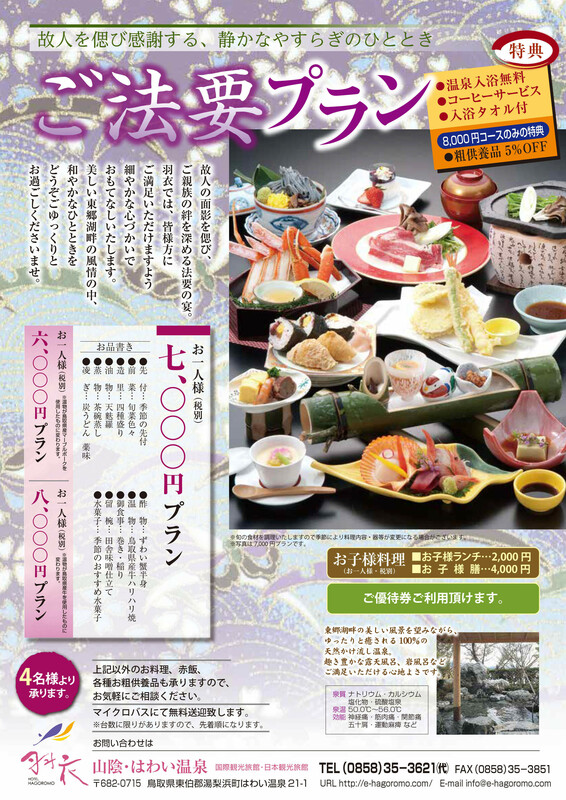 | 3,500 yen per person(Tax Excluded)~※We accept from reservation of 2 people or more. 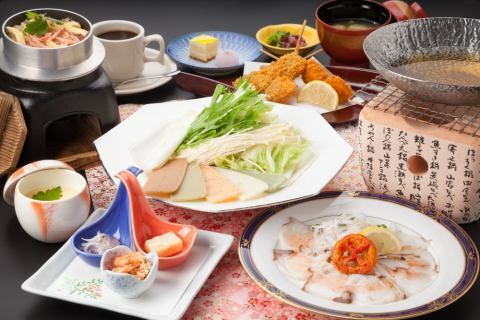 Shabu shabu shabu shabu thin thin rectangular rice cake, thick rice cake. 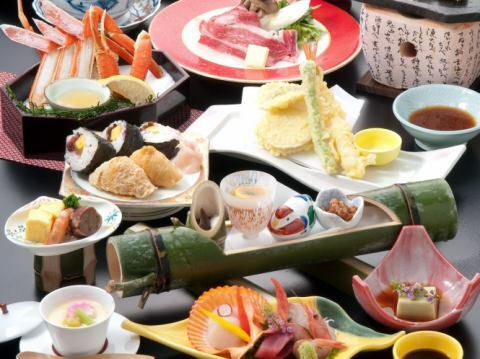 If you eat vegetables rolled with mochi and eat it, you can enjoy another taste. 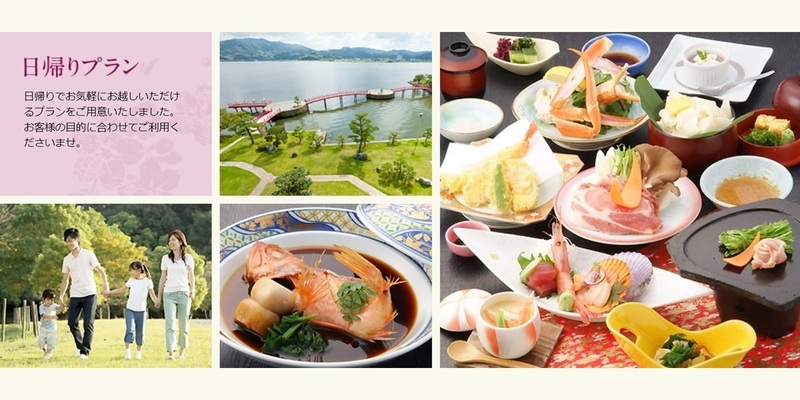 Immerse in hot springs, eat delicious food, and have fun girls talk! ※Accommodation plan is available.Please contact us for details, such as fees. Please inquire about additional orders such as meat. Bus transfers are available, so please contact us at the time of reservation. 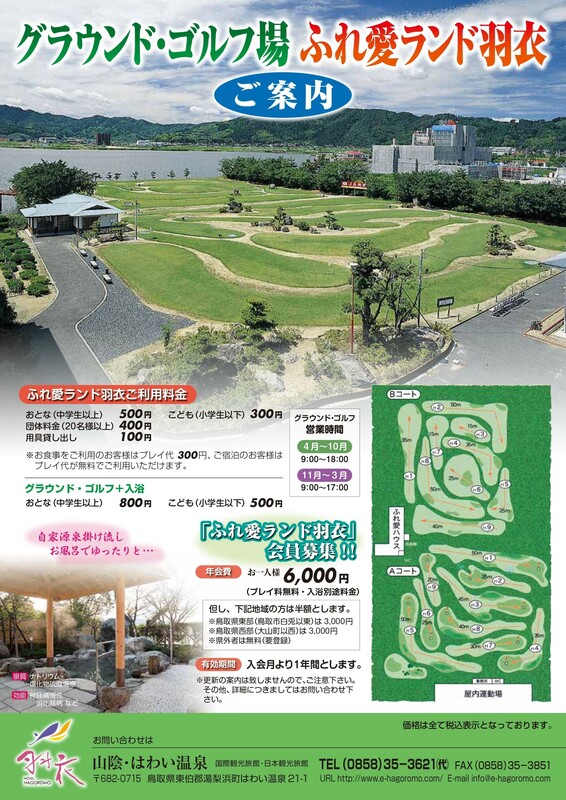 It is a day-trip plan with meals and a golf fee. 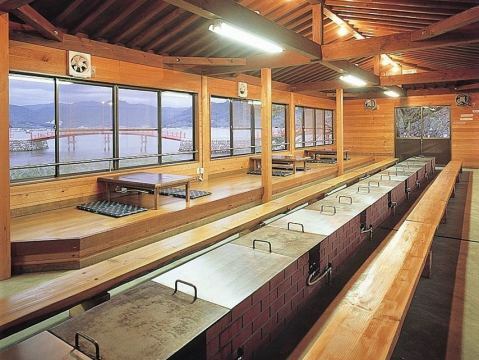 Free hot spring bathing is also free! 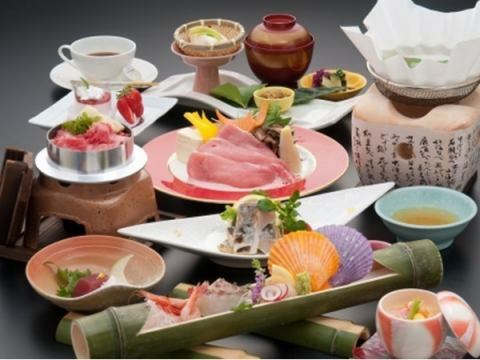 ※The photograph is an image.Actual dishes may be different.